Imagine that someone has emailed you a VSD file, but you are out of the office. Would you like to open and view the Visio document on your smartphone or tablet? Or maybe you travel a lot and would like to collaborate on Visio drawings with your colleagues and team wherever you are. The fastest and easiest way to open your Visio file on your tablet is to use the Visio reader app, called VSD Viewer. 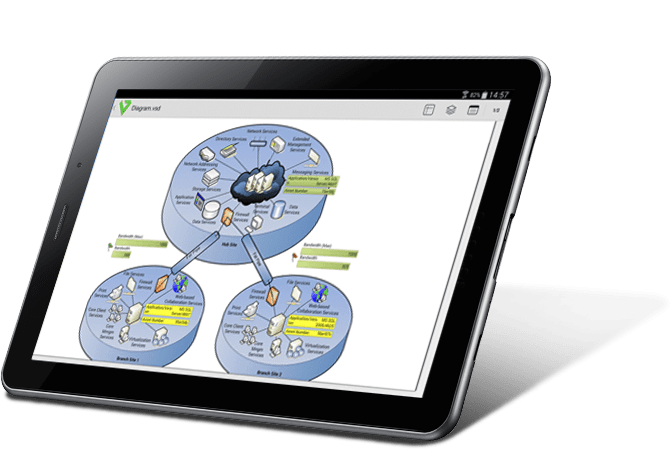 VSD Viewer for Visio Drawings is a professional tool designed for viewing VSD, VDX, VSDX drawings on a smartphone or tablet using the Android operating system. The program has a convenient and intuitive interface with lots of great features that make using it super easy and comfortable. The Visio file viewer allows absolutely anyone to view Visio diagrams on Android, unlike Microsoft Visio, which is for the Windows platform only. The app supports VSD, VDX, VSDX extensions and renders any file correctly and completely. You can open both binary and XML-based VDX/VSDX documents. It has navigation tools: zooming, scrolling, copying the text, displaying guidelines and other objects with formatting. Gradient Fill, tabulation, the upper and lower texts, and page numeration are also displayed. You are able to view callouts, dimension lines and objects beyond the edges of the pages, or hidden layers of the document. Moreover, you can preview documents with embedded metafiles. 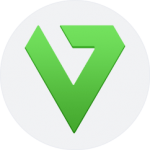 Android Visio viewer by Nektony has an important benefit, unlike online Visio viewers. Firstly, you don’t need an internet connection to open the drawings. So you can view them wherever you are. Secondly, your important files are protected from being shared online. And, finally, it doesn’t require a subscription; you pay only once for unlimited access to the app.